This is a support image for the Neptune and the Seasons Mosaic. 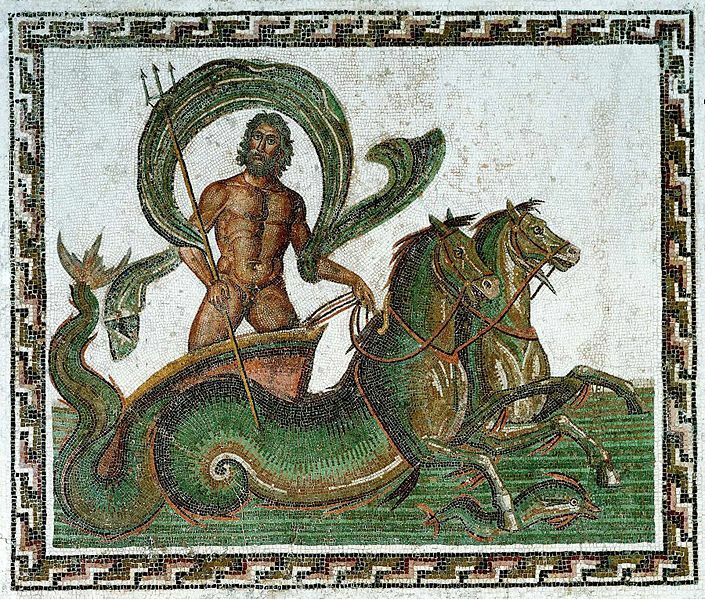 It is titled as the Triumph of Neptune Mosaic. Like our main piece, it depicts the Roman god Neptune on a chariot in the sea. This chariot, just as the other mosaic, is also pulled by hippocampi. It is made from marble and glass and dated to the 3rd century, C.E. Currently, it is in the Musée Archeologique de Sousse, Tunisia.